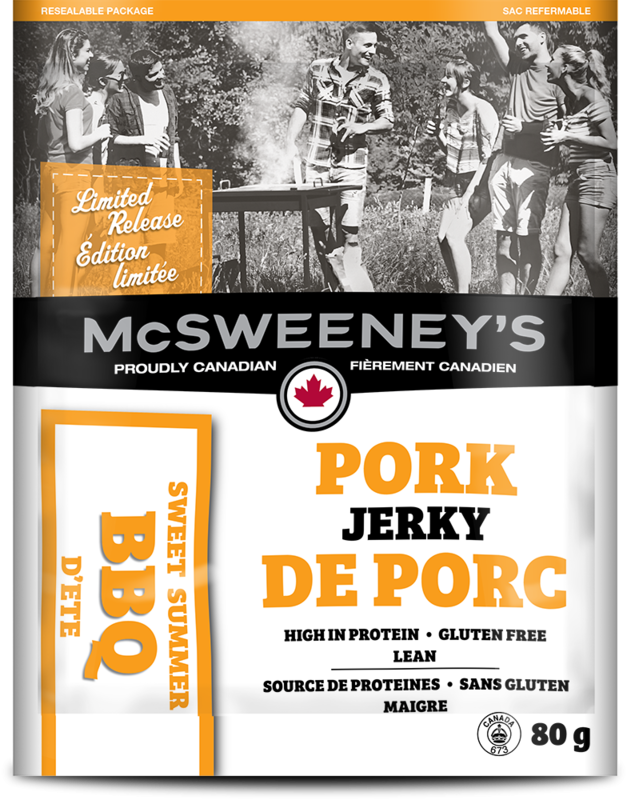 Just like summer, our sweet BBQ pork flavour jerky is here for a limited time! As Canadians, we quickly learn to cherish summers and enjoy the season while it lasts. Similar to the warm sunny weather, our sweet BBQ pork jerky will only be available for a few months. Make sure you taste this delicious flavour before it’s gone. This flavour compliments any typical Canadian summer adventure from camping in the boonies, to long road trips. The snack keeps fresh, is light to pack and tasty! All of our jerky is even gluten free. The sweet BBQ pork is made with tender pork and coated in sweet sticky sauce. Just like all of our products, this summer classic is naturally smoked and high in protein. Don’t miss out on enjoying our summer flavour that only returns once a year!